With its floral perfume, muscat can be tremendously seductive. 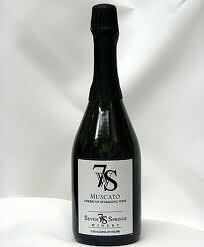 I long have been a fan of these wines, which often go by the Italian name moscato. I just can’t get enough of those aromas. But I never envisioned muscat/moscato becoming the next big thing for U.S. wine drinkers. Sales of domestic and imported muscat are up nearly 100 percent over a year ago, according to the Nielsen Co., which tracks wine sales. Although there are dry versions, most muscat has some sweetness. Northern Italy’s moscato d’Asti, one of the best-known muscat wines, is usually lightly or fully sparkling, low in alcohol and delicately sweet. There are also several varieties of muscat. The best one is generally considered to be muscat blanc a petits grains, usually known in California as muscat blanc or muscat canelli. Now that the thirst for muscat seems unquenchable, other big California companies have responded with wines that, typically, are inexpensive and labeled as moscato. I’m afraid this rush to market is doing a disservice to muscat.